Emerging economies are experiencing considerable economic changes due to change in energy demand and CO2 emissions. 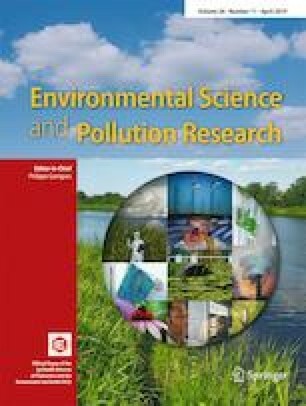 To explore the link between energy demand and CO2 emissions, this study disaggregates energy consumption into renewable and nonrenewable, and investigates its impact on carbon (CO2) emissions by incorporating the role of trade openness using the environment Kuznets curve (EKC) framework. Emerging economies from 1990 to 2015 are examined based on Morgan Stanley Capital International’s (MSCI’s) classification. This empirical study uses cross-sectional dependence (CD) test and second-generation panel unit root test for precise estimation. The Pedroni and Westerlund panel cointegration tests are used to examine the long-run equilibrium. Continuously updated fully modified (CUP-FM) and continuously updated bias-corrected (CUP-BC) approaches are applied to investigate long-run output elasticities while the vector error correction model (VECM) is used to examine the direction of causal relationships among the variables. The results show that renewable energy consumption affects the CO2 emissions negatively while nonrenewable energy consumption positively impacts the CO2 emissions. The study also supports the EKC hypothesis. Trade openness adversely affects the CO2 emissions which are an imperative inclination of these economies towards globalization. Moreover, in the long run, energy consumption from renewable energy and economic growth Granger cause CO2 emission, nonrenewable energy, and trade openness. In the short run, renewable energy Granger causes economic growth, while economic growth Granger causes nonrenewable energy. The study offers some vital policy suggestions for these emerging economies and some interesting lessons for the developing economies. This work is supported by the National Natural Science Foundation of China (No. 71571019).